On Friday the 24th of January a Viking warrior came to visit us! His name was Thorsulf Hammerson, which means 'Thor's Wolf, Son of the Hammer'. He was very fierce but managed to calm down enough to tell us lots of interesting facts and show us some really exciting demonstrations. 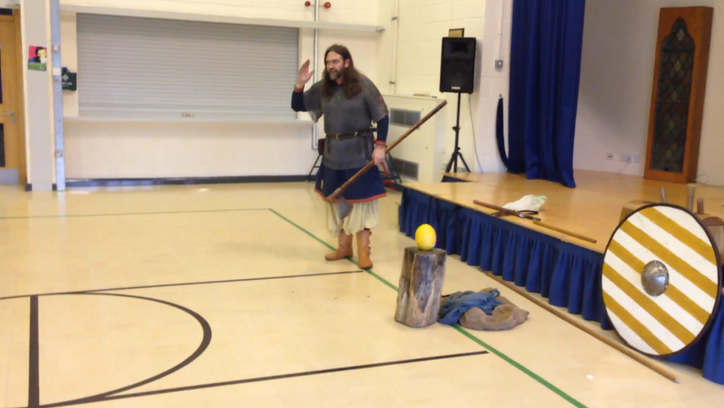 Some of our favourite parts were when he used his sword and axe on a Saxon soldier (melon)!